Native American history is lovingly preserved on Frisco property. The Native American Museum first opened its doors in 1987 with a dedication to protecting precious cultural artifacts of local tribes. The grounds now boast a two-story building packed with a wealth of information, a research facility, natural history center, preparation area and bookstore. Today thousands of items representing Native American culture from across the country make up an impressive collection. Nature trails wind throughout creating a peaceful ambiance for guests to appreciate. Exhibits tell the tale of the lives led by Native American tribes. An impressive array of artifacts depict the details of everyday life. Clothing, baskets, weaponry, tools and cooking items are well represented. Origins of items span from across the United States and a special space is reserved for North Carolina tribes as well. There is plenty to explore outdoors too. Trails meander through a maritime forest and across streams. Benches are strategically placed about for reflecting. Many who find their way to the lush pond spare a moment or two for contemplation of times gone by. Somewhere along the way sits the Fossil Pile. This amazing site may appear as a pile of sand but in truth contains an assortment of natural treasures such as shark teeth and other fossils. 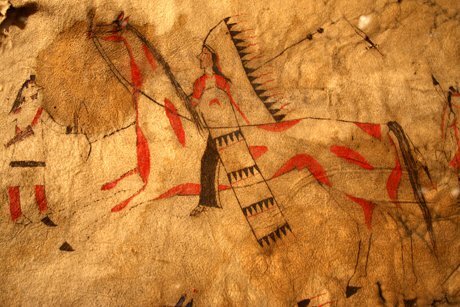 Hours to the Native American Museum are seasonal and can be found on the website. General admission is $5 per person or $15 per household. Discounts to the Frisco property museum are offered to senior citizens. Guided tours are great ways for groups to explore and are available with prior reservations. Interested parties can find out more information by calling 252.995.4440. Before leaving the facility most folks find their way into the gift shop. Over two dozen Native American artists contribute to an eclectic assortment of goods. The shelves are filled. Shoppers are delighted with artwork to hang in their Frisco homes, dream catchers, baskets, musical instruments and more. Youngsters beg for games, books and Native American dolls. Whatever one is looking for is sure to be found inside this amazing store.